Marseille Bar Association (Barreau de Marseille). 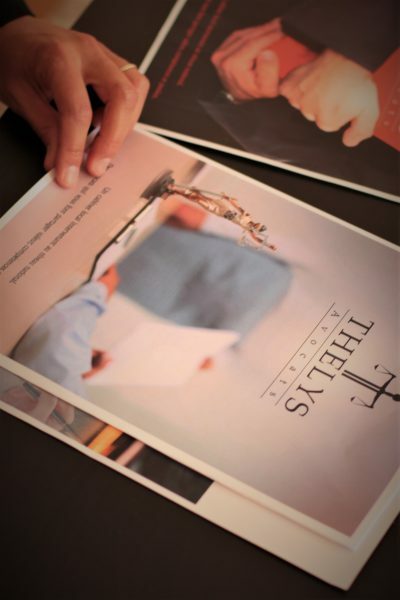 Together they created Thelys Avocats in order to assure a high degree of expertise and respond adequately to their clients’ needs. They provide you with legal services in consulting, writing of legal acts and litigation before all courts of justice in France. They work in various legal areas, with particular skills in commercial law, company law, labor law, intellectual property, Internet law, auctions, lease, consumer law, family law and criminal law. They favor direct contact with their clients and a policy of clear and precise fees. They practice with conviction and determination, in accordance with the principles of dignity, conscience, independence, probity and humanity. They work as a team and share their expertise so as to provide efficient and quick services to their clients (businesses and individuals).